Dimensions 0.55 by 6 by 9 in. Amazon.com description: Product Description: From the Translator's Introductory. 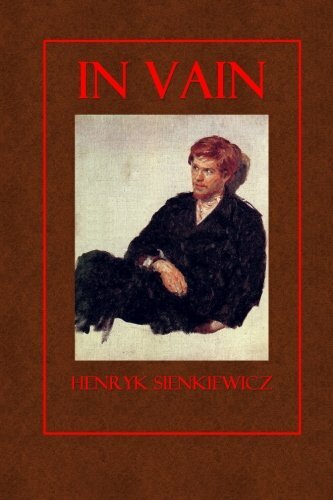 "In Vain," the first literary work of Sienkiewicz, was written before he had passed the eighteenth year of his life and while he was studying at Warsaw. Though not included in his collected works by the author, this book will be received with much favor; of this I feel certain. The first book of the man who wrote "With Fire and Sword" and "Quo Vadis" will interest those of his admirers who live in America and the British Empire. These people are counted at present by millions. This volume contains pictures [words] of student life drawn by a student who saw the life which he describes in the following pages. This student was a person of exceptional power and exceptional qualities, hence the value of that which he gives us. About: At a time when the state of Poland was constantly undergoing political turmoil, Henryk Sienkiewicz wasnât afraid to ruffle feathers.